reflect on all that we are blessed with. 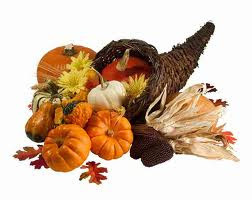 Here is a quiz you can take to see how well you know your Thanksgiving facts. We're all good at eating the Thanksgiving meal. Some of us are good at preparing Thanksgiving dinner. But, how much do you really know about this Thanksgiving Holiday we celebrate every year? See how well you do with this Thanksgiving Trivia Quiz! 3. Where did the male "tom" turkey get its name? A. The popular Tom and Jerry Show B. Benjamin Franklin named it after Thomas Jefferson when he would not allow the turkey to be the national bird. C. A tom cat. Wild turkeys were just like wild cats back then. They would roam around and get into fights. 14. Which gender of turkey says "gobble, gobble"? A. The female - when she is eating B. They both do C. The male, but only seasonally and when going to sleep. 16. Who was the first astronaut to eat turkey on the moon? A. Tom Hanks B. Neil Armstrong C. James Lovell, Jr.
20. Plymouth Rock is how big today? A. The size of Manhattan B. The size of a car engine C. The size of Carnegie Hall D. The size of a peanut E. The size of a New York block. 1.C 2.E 3.B 4.G 5.B 6.C 7.C 8.A 9.A 10.D 11.A 12.A 13.A The US Air Force found that out the hard way when they were trying to break the sound barrier. Whole fields of turkeys fell down dead from heart attacks. 14.C 15.A 16.B 17.B 18.D 19.D 20.B It has cracked three times over the years, each time getting smaller and smaller.